During the Christmas season our church sponsors three local families in need. The Christmas Families Tree hangs in the Narthex at the entrance to the church. Each ornament on the tree lists a specific desired gift. Take an ornament/tag, purchase that gift, place the ornament/tag on top of the wrapped gift, and place it in the designated box in the back of the church, by December 16th. 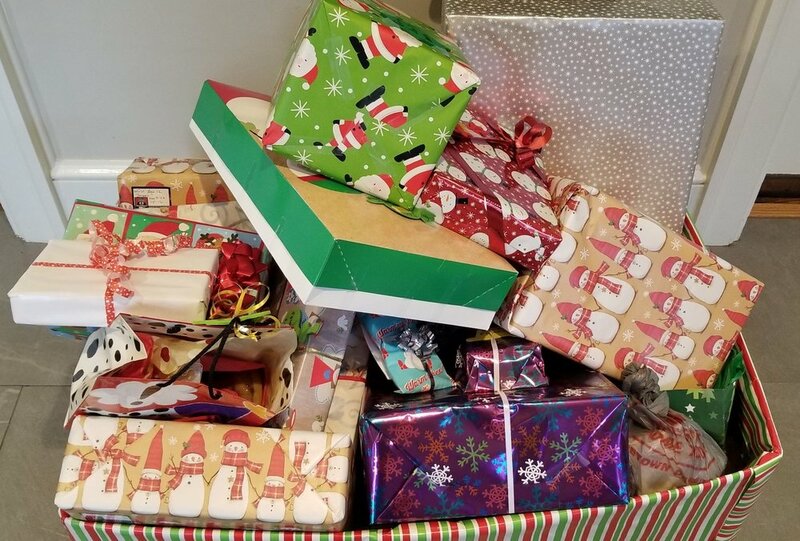 Thank you to all who so generously donated gifts for our local Christmas families. The gifts were delivered to social workers. The social workers were amazed at the outpouring of gifts from our church. When they delivered the gifts, one single parent fell to their knees and cried tears of joy. Thanks again for responding to the call and bringing Christmas joy to local families in need.